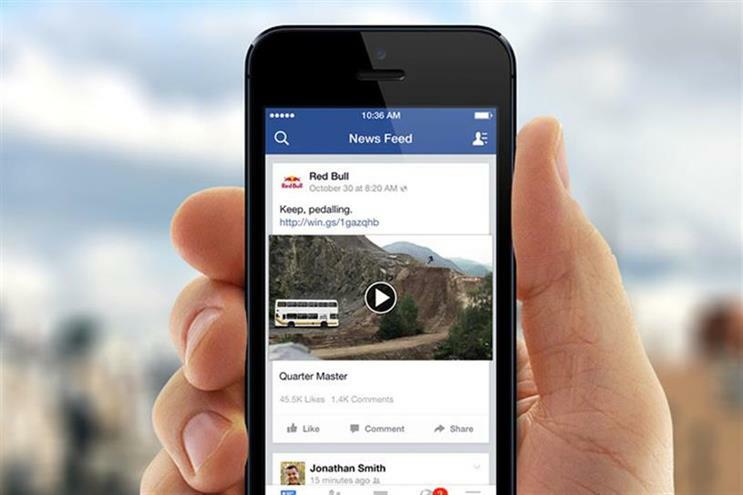 The Association of National Advertisers has backed calls for Facebook's video metrics to be audited by a third party. Bob Liodice, president and chief executive at the US trade body, said that news of the social media giant miscalculating video views on its site for two years "is troubling". Given that brands spend billions of dollars on the site, it is time for Facebook to be audited and accredited, he explained. In a blog post, he said: "While ANA recognises that mistakes do happen, we also recognise that Facebook has not yet achieved the level of measurement transparency that marketers need and require. "Specifically, Facebook metrics are not accredited by the Media Rating Council; accordingly an audit of Facebook metrics has not been completed. With more than $6bn of marketers’ media being directed to Facebook, we believe that it is time for them – and other such major media players – to be audited and accredited. "That is the standard of accepted practice that marketers and agencies have relied on for decades." A spokeswoman for Facebook said it is speaking to the ANA on how they can work closer. She added: "Trust and transparency with our partners are paramount to the operation of our company. Our focus has always been on driving business results for our clients, and we strongly believe in third-party verification. "We have a history of working with industry leaders including Nielsen, Moat, and comScore - and we continue to explore more partnerships."